my account umber is 14703. the broker wont let me withraw my funds. they wont let me send the confirmation code. i sent a lot of emails and chatted with them but still they wont let me withdraw my funds. they have a lot of excuses. they will say that they have technical problem. hello, im been requesting my funds for over two months, you should have fixed it already. STAY AWAY FROM THIS BROKER. This is a Russian based broker i have recently joined its forum because they have increased their posting rates to 40c per post and after reaching 50$ we can start trade by using this balance. We are not required to make deposit. I contacted its support they told me that we can choose any payment method for withdrawal we are free to choose. Main feature which i like about it is that they required second level verification which is very easy process. 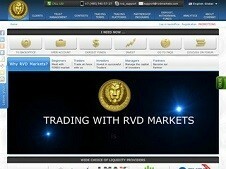 This is a very new broker in notice which was giving some exciting bonuses like paid to post on forum, contests etc. But i had some bitter experience with this broker, for unknown reason they had blocked my account. I had accumulated $11 as paid to post, but after blocking my account they seized my money, and just after that i left that broker. And also the broker is not regulated one, so one should be very cautious while investing with this broker.